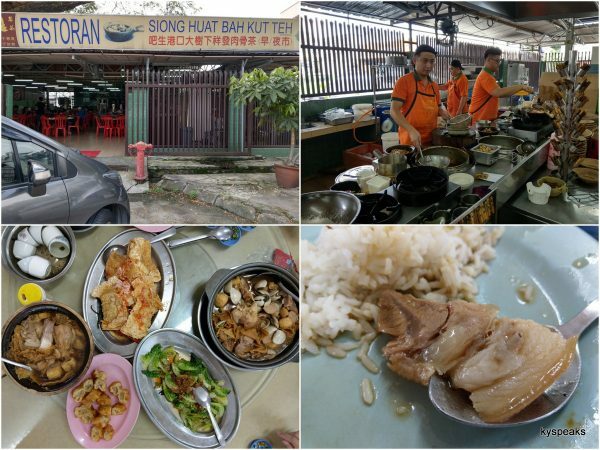 Since I am somewhat known for being a bak kut teh lover (which I am), I suppose it is appropriate to not go too long between bak kut teh posts, so today I present you – Siong Huat Bak Kut Teh, at Port Klang. 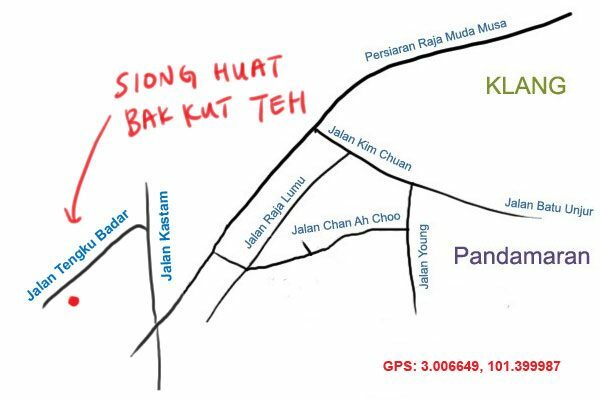 As mentioned, this particular bak kut teh place is located near port Klang, so for those who travels from other parts of Klang Valley, it is indeed quite a distance. However, since the Federal Highway toll is dismantled, the journey cost RM 4.20 less, and so there’s no excuse to not do this. Furthermore, Siong Huat also has a dedicated parking lot for dine in customers, which makes it that much more convenient. Unlike many bak kut teh places in Klang that concentrate on either bowl type bkt (one where you specify just 1 particular cut of meat, served in bowl), Siong Huat offers claypot style bak kut teh in soup & dry versions, and also with options for seafood. 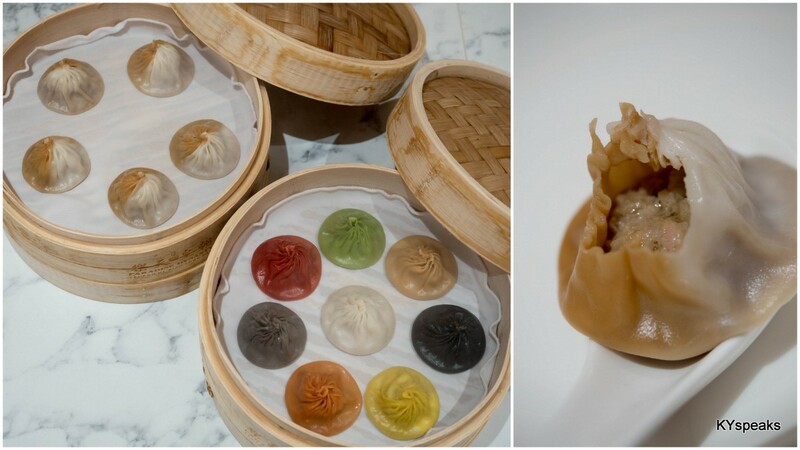 On top of that, they also offer a variety of “tai chao” dishes. 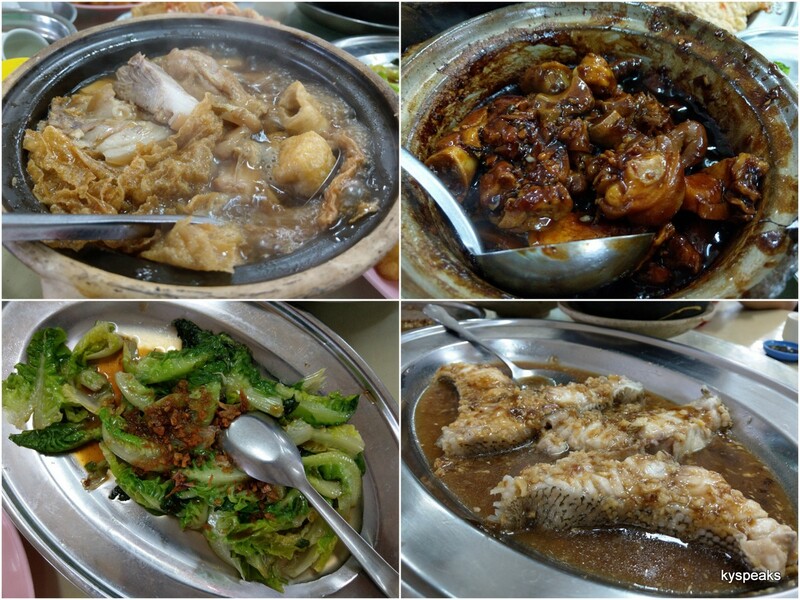 For the 8 of us, we ordered a big portion of bak kut teh with lala (spicy version), a regular clay pot bak kut teh, a dry version, a plate of vegetable, and steamed garupa fillet with ginger. All of these to go with steamed rice, like god intended. 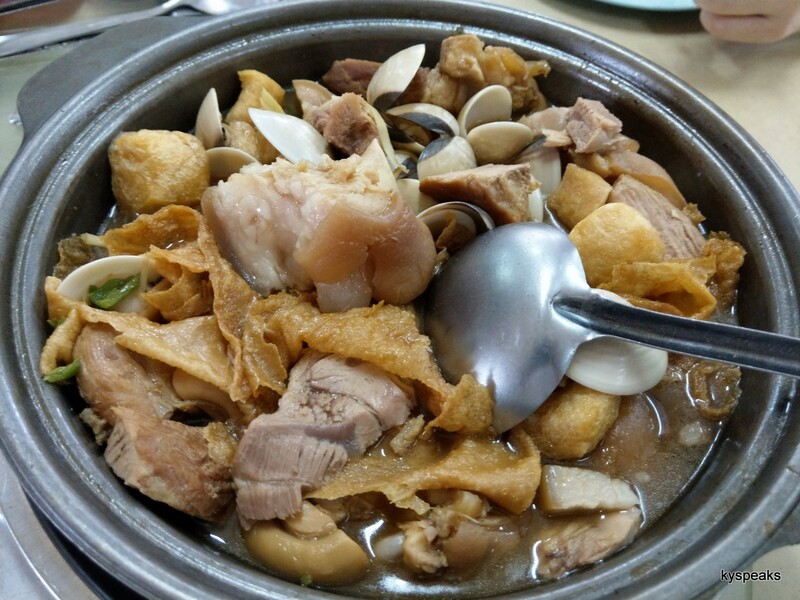 The seafood bak kut teh was served with a pretty generous amount of lala and chili padi. The cili padi is necessary in any seafood bak kut teh soup base to balance the seafood taste with herbal aroma. The version here is as good as others I’ve tried in Klang, such as Yun Heng’s lala bkt, or Klang Coast at Bukit Tinggi, but perhaps a notch below Ah Tao’s version (sadly he passed away). Definitely satisfying. 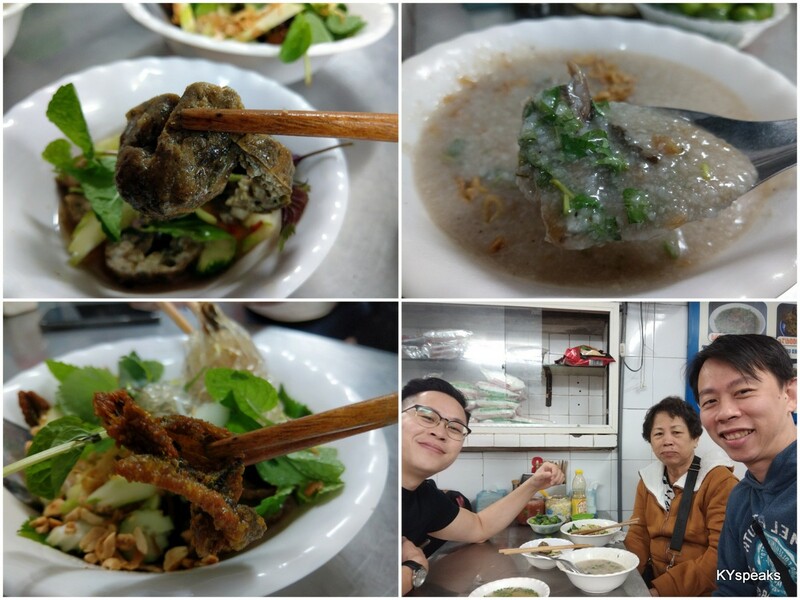 The regular soup based as well as the dry bak kut teh were competent in their own right, with the soup version accompanied by pretty good tofu skin as well. Additionally, their steamed garupa fish is a must order for those who love fish. The ginger was spicy, and fish tasted superbly fresh and done just right, goes well with steamed rice. they have cendol with durian! 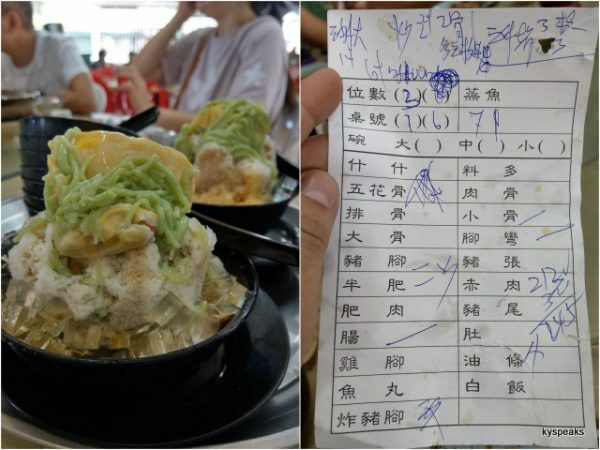 For those with some sense of adventure, Siong Huat also serves cendol with actual durian (RM 16 per bowl), a dessert fit as a meal on its own, and priced accordingly. As for our over ordered meal, it came to around RM 40 per pax, including the pricey dessert. Worth it. The durian stall outside the shop that operates around 12noon-3pm has really good durians! Shiang: ooO now i know. Those bowls are PACKED with ingredients! KY, that was some meal you had. Every things look so good make me want have it too. Vickie: yess, if you have a chance to come to malaysia you’d have a lot to try! 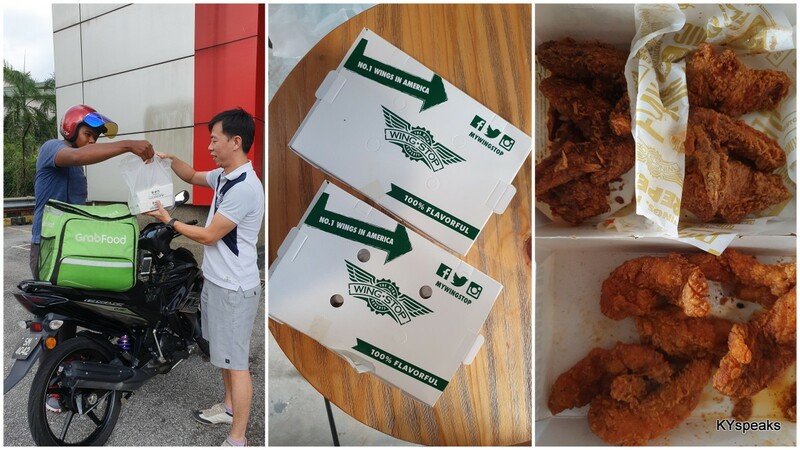 So proud to tell that I’ve tried this place earlier than you, the BKT King, haha! Choi Yen: haha yes you win! I do like the bkt though esp the way they make it spicy! You sure eat a lot of bak kut teh, it seems. Love the look of the dry one, one claypot full! suituapui: I .. cut down quite a bit already. heheheh. Durian cendol after BKT? Wah shiok! Merryn: hahaha seems like most ppl are eyeing the durian cendol!